Most magnets have a simple nature. North on one side, south on the other. Some hard tooled, custom magnets have simple configurations of north and south. 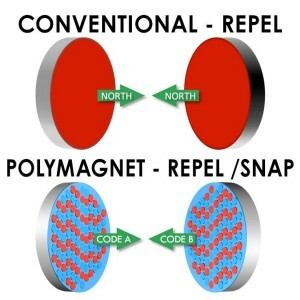 Rather than simple arrangements of north and south, polymagnets have customizable patterns that are designed in software and programmed into a magnet in minutes. Not weeks. 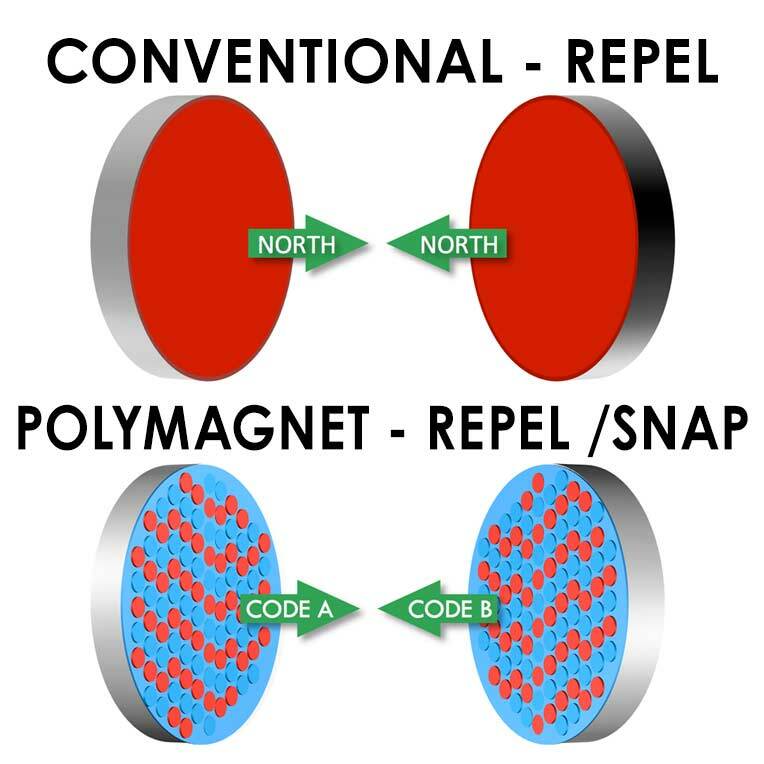 Polymagnets are fundamentally different than conventional magnets. You can now customize the feel and function of a magnet system. Polymagnets are an incredible new design tool to precisely tool the feel and function of a product. And with the tremendous flexibility of Polymagnets, entirely new types of magnetic systems can be created; from incredibly strong holding magnets to magnet systems that spring, latch, release and align – and with these basic building blocks, that’s just a start! ← Big Sustainability Think Tank Presentation.